Home / Latest Technology / Xiaomi discovers new Sound Humming Feature that will identify songs within a second. 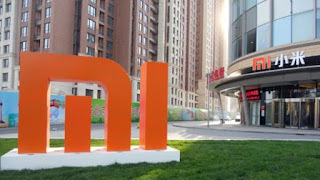 Xiaomi discovers new Sound Humming Feature that will identify songs within a second. If you have a song stuck in your head and can’t remember the name or lyrics, Xiaomi will allow you to hum the tune in their smartphones and will hopefully, be able to identify it! The company has reportedly began beta testing the function amongst a number of thousand customers and depending on this trial, the company is said to add the performance to all of its handsets in March, in partnership with a Beijing-based firm ACRCloud. However, one will need Xiaomi’s MIUI interface to run this function and will not be obtainable if the system has been flashed. In conversation with Mashable, Tony Li, a representative with ACRCloud stated that the company hopes it can beat SoundHound with its technology, that allows ACRCloud to extract the melodies of songs from tracks automatically. SoundHound, in comparison, relies on users contributing their humming samples to its database to recognize music, Li said. This move is similar to Apple’s decision to integrate Shazam in iOS 8, which allows users to ask Siri what they are listening to. This feature is also a bit similar to Shazam, but it does not allow one to hum a tune but, hear an actual song playing and identify the details. SoundHound on the other hand, relies of users humming tunes to the app and recognising the song.